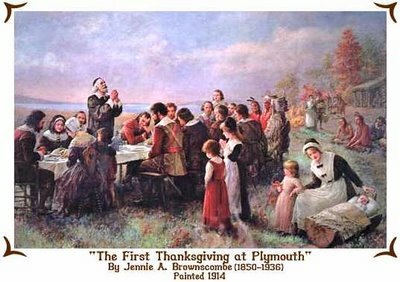 This history books will tell you that the first Thanksgiving was celebrated by the pilgrims in 1621. Not true. A second similar “Thanksgiving” celebration occurred on American soil on April 30, 1598 in Texas when Don Juan de Oñate declared a day of Thanksgiving to be commemorated by the Holy Sacrifice of the Mass.